Dental cleanings are extremely important, which is why insurance plans usually cover them. Having professional dental cleanings twice a year is the best way to prevent tooth decay and cavities, and keep your gums healthy. 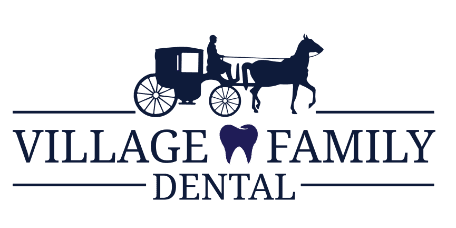 At Village Family Dental in Clemmons, North Carolina, the experienced team of dentists offers comprehensive dental services. Call today to schedule a regular cleaning, or book an appointment online. Dental cleanings begin with a quick exam. Your Village Family Dental professional looks at your teeth, visually inspects them, and assesses your gums, looking for abnormalities. If you need X-rays, your technician takes them during your regularly scheduled appointment. After that, your dental cleaning begins. Your dentist or hygienist uses a small tool called a scaler to remove plaque and tartar from your teeth. The length of time this process takes depends on how much plaque or tartar buildup you have. Most dental cleanings are quick, easy, and painless. Whether you need a quick teeth cleaning or a complicated dental procedure, talk to the dental professionals at Village Family Dental about your individual situation to receive the most outstanding care possible. Circumstances and situations are different for everyone, especially when it comes to dental health. The best way to get the right care for you is to follow a program that's tailored to your needs, not an “off-the-shelf” plan for the average person. Do dental cleanings affect other aspects of my health? Your overall health is linked to your oral health. A study published in 2016 found that routine dental cleanings might reduce the risk of pneumonia, and the number of bacteria that reach the lungs. Diabetes, heart disease, and other conditions are also tied to oral health. Regular dental checkups, cleanings, and, perhaps most importantly, conversations with your dentist, all play a crucial role in maintaining exceptional health. If it's time for your next dental cleaning, schedule your appointment online or call Village Family Dental today.